Highfields Golf & CC. A premium lot with golf course frontage and spectacular views of the 6th and 7th fairways and the bucolic countryside is the setting for this fantastic new plan under construction with a 60 day delivery. 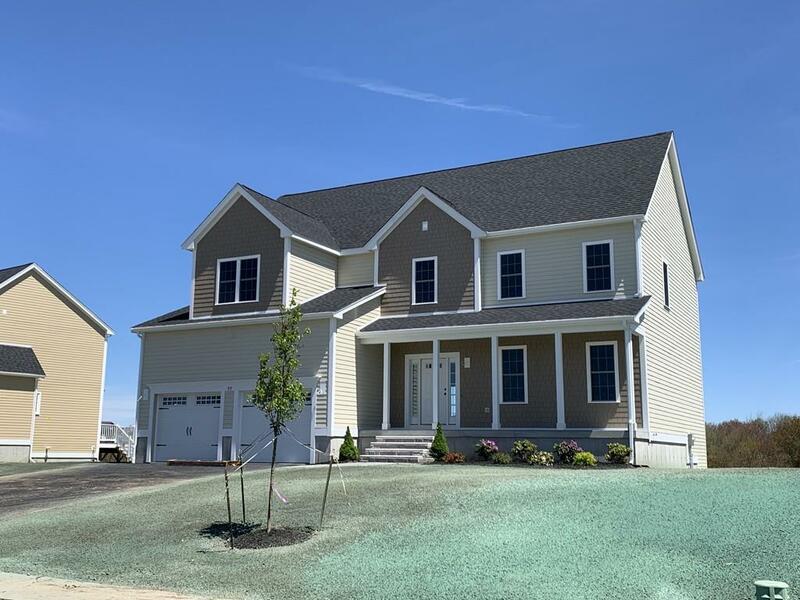 Impressive 23' farmers porch adds to the character and appeal and leads you into the foyer w/turned staircase and the first floor home office w/french doors and wainscoting. Kitchen & Fam Rm are tied together in a "great room" concept and offer an open, flowing layout w/hardwood flooring, slider to composite deck, fireplace, center island and recc lighting. Formal din rm w/wainscoting, hardwood, crown molding. Generous bedroom sizes and a spacious master suite w/huge walk-in closet, private bath, and sitting area. Walk-out basement w/full windows, slider, and rough plumbing for future bath. High standard construction w/HardiePlank fiber cemet siding and composite trim, composite decking, 40 year architectural shingles, 2 x 6 construction.